A ribbon is so handy to have around. You can make so many different things with it, starting from ribbon hair bows to ribbon flowers. 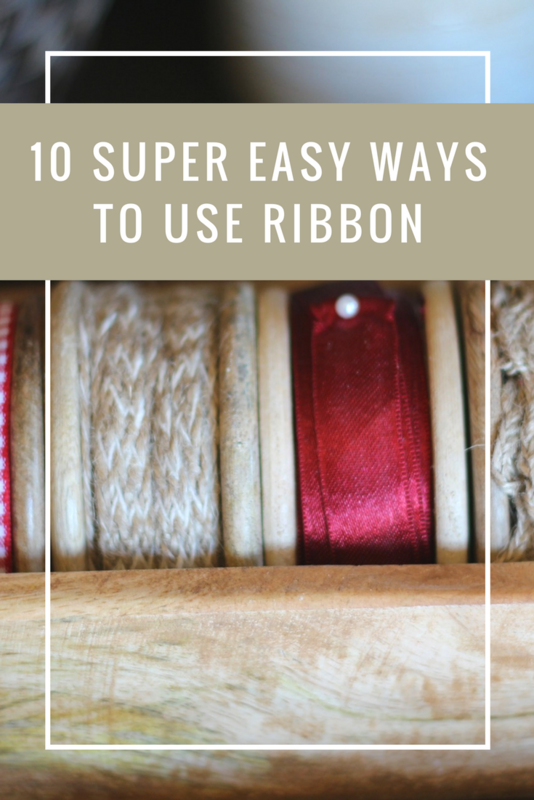 All you need is a piece of ribbon in a color of your choice, or several colors to make interesting combinations and a couple of super easy ideas what to make. This is such an easy ribbon idea, that you don’t need much prior experience in crafts. You’ll need a piece of ribbon, elastic hair band, decorative buttons, scissors, a needle, and a thread. Start by cutting the ribbon into a certain size. In this tutorial, you’ll see that recommendation is 18 inches, but the length of the ribbon will depend on the book. Fold and sew both ending of the ribbon. Make sure you add a hair band to one end before sewing. Use a thread and a needle to sew a button on the other end. And there you have it, adorable bookmarks which will come in handy when reading, or they could be a nice little gift. As much as this sounds complicated and difficult, it’s actually very easy DIY project. You’ll need a wreath form, any size you want, and lots of ribbons. Cut ribbons in lots of strips of various lengths and tie each strip to the wreath. Make sure you go around in a circle to cover the entire wreath. Once you’re finished, attach the chandelier to the ceiling, turn on the light, and enjoy the show. If you want a unique way to wrap your gifts, here’s an idea – use jars. Jars are perfect for storing lots of small gifts, such as candy, cosmetics, accessories, etc. Once you fill in the jar with goodies, use ribbon to wrap a bow around the top of the jar. Although it’s quite a simple trick, the ribbon will make it elegant and festive, which is why the gift jar is going to look amazing. This one is very easy, and subtle detail, but it can make such a huge difference in your apartment or office. Find the ribbon in the color or design you want. Choose the width of the ribbon based on the width of the shelf. You then simply place the ribbon on the shelves attaching it by pins, or glue. Perhaps the best solution is to use double adhesive tape, as it can be removed without damaging the shelf. Here’s another super easy and quick ribbon idea. You’ll need a piece of 1.5-inch ribbon and wooden beads. What is great about this necklace is that you can go for any kind of beads you want, large, small, colorful, etc. The same goes for ribbon. The first step is to string the beads on the ribbon. Tie a knot on one end of the beads. Tie a bow on the other side of beads to join both parts of the ribbon. Now that you have a necklace, it’s only right to make a bracelet. You’ll need a piece of ribbon, hair elastic and a button. You’ll also need scissors, a thread and needle, and glue. Start by cutting the ribbon to the desired length. The recommended width is 1/4 inches. Fold the ending pieces, and insert the elastic in one of them. Glue both folded ends. Sew a button on the end opposite of the one with elastic and you’re all done. For this pencil holder, you’ll need an empty can and a lot of different kinds of ribbons. 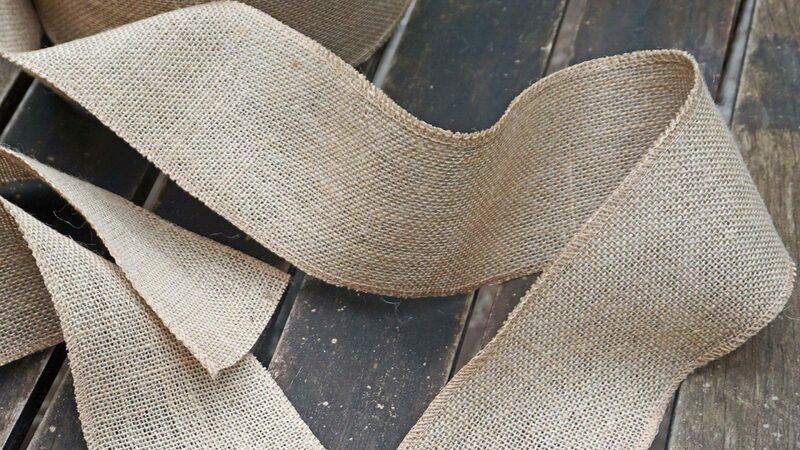 This is a great way to upcycle both the cans and the ribbon scraps. You’ll also need scissors to cut the ribbons and a glue gun to attach them to the can. Cut the ribbons into pieces long enough to cover the can, arranged them the way you want, and then start gluing one at the time around the can. If you have lots of hair accessories lying around in a pile in one of those boxes or drawers, here’s what you can do to fix this. You can make a ribbon hanger. You’ll need a piece of ribbon as long as you want the hanger to be, a curtain ring clips and some glue to hold it in place. Attach the ring to the ribbon and hang it on a wall or inside your closet. It’ll be so much easier to find them this way. In the same way, you can organize your bracelets, necklaces, etc. Here’s another project where ribbon can be quite handy. Make a unique bulletin board. Use a framed cork board as a base, add a piece of fabric to cover the board, and ribbon for decorations. You’ll also need decorative nails, scissors, and a staple gun. Start by covering the board. Use scissors and a staple gun to attach everything. Now it’s time for ribbon magic! To get the pattern from the image, make an X sign over the entire board using ribbon. staple the ribbon to the frame on the back. Now you’ll need smaller pieces of ribbon to make a center diamond shape, which will result in four more X signs. Continue the same procedure, until you’re satisfied the pattern. Put the decorative nails in the places where ribbons overlap. This will hold everything in place. This is a super handy, must-have item in everyone’s purse. You take your keys everywhere with you, so here’s how to make your own, DIY ribbon keychain. You’ll need a key ring, scissors and lots of ribbon of different kind and color. You could also add other materials, such as lace, sequins, etc. Cut all the materials into strips and join them together with a thin ribbon. Fold them over a keychain, and use another piece of ribbon to tie around the tassel. A great thing about this project is that you can use all those leftover ribbons from other projects, to make the keychain quite diverse and colorful. I love these gift jars <3 haven't thought of that so far, but I'll definitely going to try it out. I'd also love to make this ribbon chandelier, it seems easy and quick to make.